If you already have an existing NAVTA account, please register a new account in order to earn CE credit. A three-part course that reviews osteoarthritis (OA) pain in dogs, introduces an OA screening/monitoring checklist, and how to use this tool to more effectively recognize and manage OA in dogs. All three modules are now available. All modules must be completed to receive 1.5 hours of CE. 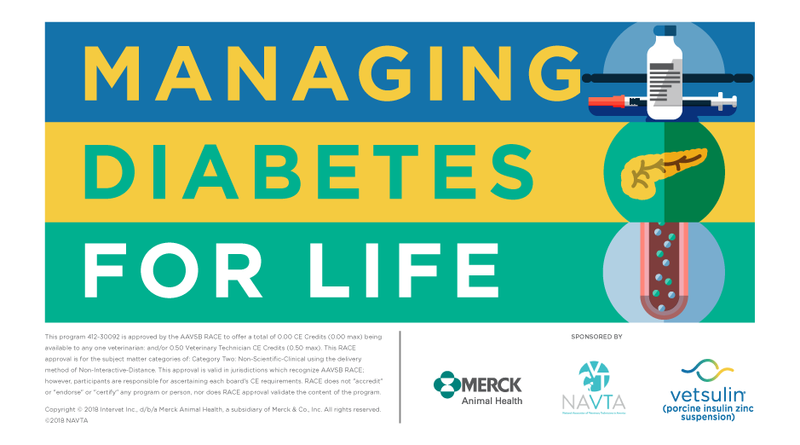 This 30 minute course, sponsored by Merck® and Vetsulin®, will provide a thorough review on diabetes management. Topics covered include diabetes treatment, monitoring, responding to common complications, and ways to effectively communicate to and train pet owners. 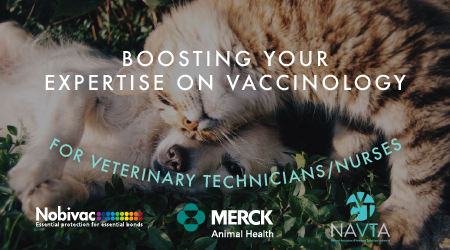 A refresher course sponsored by Merck® and Nobivac® about the essentials on vaccinology, covering the pros of cons of different vaccines, canine and feline vaccination guidelines, maternal antibody interference, and vaccine storage and handling. 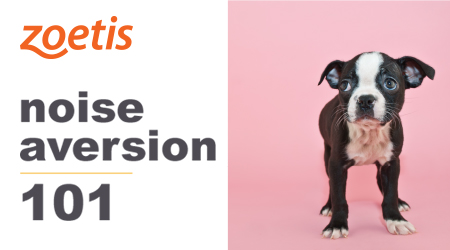 This is the second course in the noise aversion series from Zoetis. 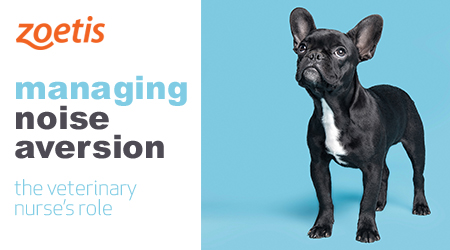 The course focuses on the veterinary technician’s role in managing noise aversion, and how to bring the entire team together, using a few easy-to-use tools created by Zoetis. This interactive course focuses on defining noise aversion; its triggers, common clinical signs, and diagnosis challenges. 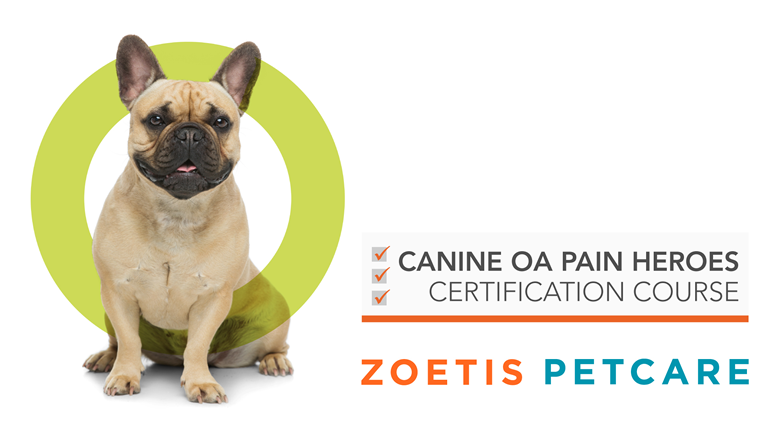 Presented by Julie Shaw, KPA-CTP, RVT, VTS (Behavior), and sponsored by Zoetis. *RACE approval is valid in jurisdictions which recognize AAVSB RACE; however, participants are responsible for ascertaining each board’s CE requirements. For questions regarding your CE credit or for more information, contact ceinfo@lifelearn.com.